Easily the most common reason for premature tyre removal is impact damage or rim crush. 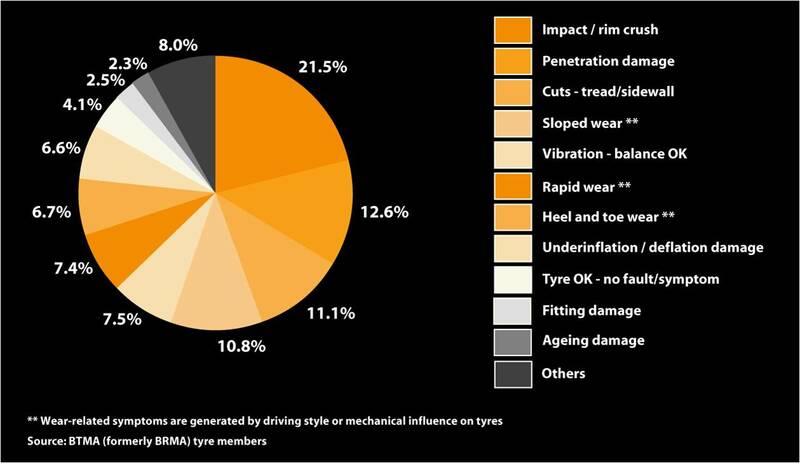 In fact, impact damage accounts for 21%* of all tyres being replaced before the tread has worn away through use. Bulges in tyres can occur when the sidewall becomes damaged - which is often caused by impact from ‘kerbing’ or from pot holes in the road. 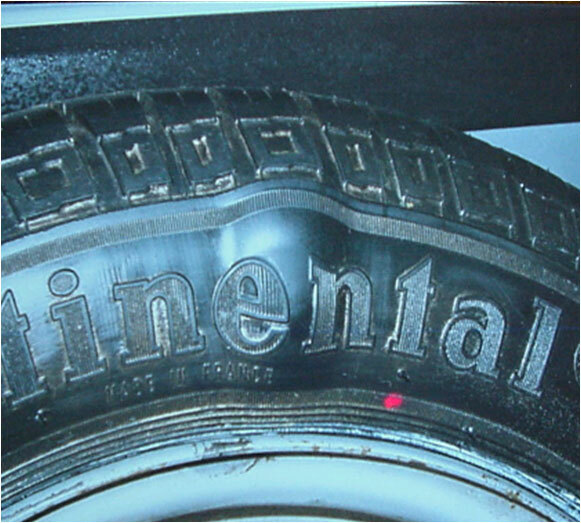 The structrual integrity of the tyre sidewall is weakened and the internal air pressure creates a visible bulge. 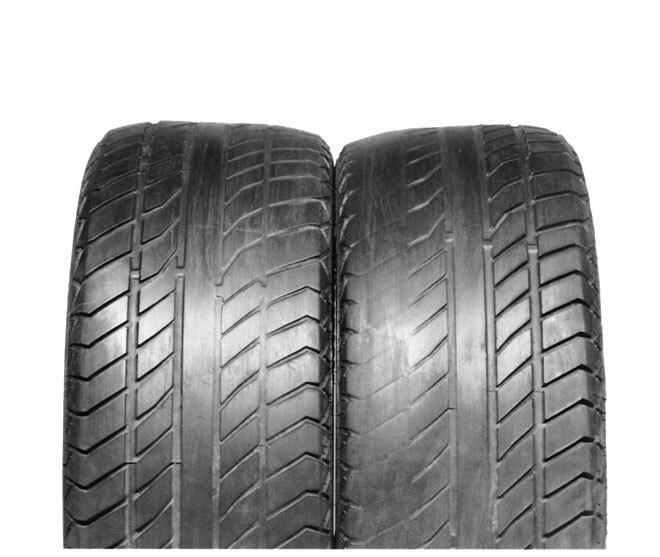 A lump or bulge usually indicates the tyre has been damaged internally. If you notice a lump, bulge or cut then the tyre will more than likely need to be replaced or repaired immediately. You may also notice cuts, rips and tears to the tyre as a result of ‘kerbing’ or pot hole damage. If you notice any of these then you should have the tyre checked immediately. The primary cause of sloped tyre wear is wheel misalignment. If your tyres are not properly aligned then one area of the tyre may wear more quickly than the rest of the tyre leading to premature tyre replacement. Wheel alignment is often referred to as ‘tracking’. As you drive, a misaligned wheel is ‘pulled’ back into alignment as you travel along. This not only causes excess tyre wear but can also use more fuel. This type of wear is sometimes overlooked when it is located on the inside of the tyre as it may only be on the very inner edge, with wider tyres and low vehicle making it very hard to detect.